The TBEST GTFS (General Transit File Specification) Interoperability tools take advantage of the investment agencies and vendors have made in developing Google Transit Trip Planner compatible files. 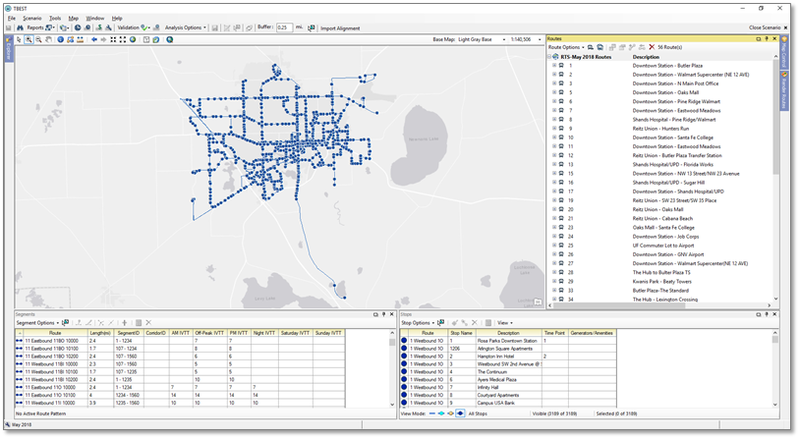 These tools are a critical part of the use of TBEST for service planning since they integrate current or historic operational network information directly into TBEST, saving the organization valuable time in maintaining an accurate modeling and analysis platform. TBEST GTFS Network Export – Networks coded within TBEST can also be exported into GTFS format. 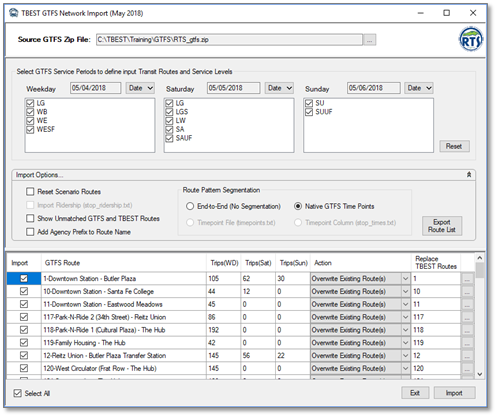 Exported TBEST GTFS networks contain user-defined vehicle arrival times and travel speeds and can be used for other planning or visualization applications such as the FTA STOPS model. TBEST GTFS exports include appended attributes with ridership estimates and stop amenities.